“We’re probably going to surf Banna Strand, but the swell might still be a bit small, I just can’t decide.” Dylan slumps back into the passenger seat of my car and throws his phone momentarily from his hands. He has spent most of the journey with it held to his nose, furrowing his brow as he examines various surf forecasts from across the southwest coast of Ireland. Dylan is one of those people for whom finding good waves has become an obsession, and missing them an unthinkable tragedy. It is a cold October morning, and the swell from Hurricane Joaquin is forecast to make landfall along Ireland’s Atlantic coast around lunchtime. As we drive towards County Kerry Dylan triple-checks the swell report in case there is somewhere close to Banna which may be slightly more promising. The problem with digital swell forecasts is that they are often wrong, and so have always to be second-guessed. There is, of course, no replacement for an at-the-beach report. Luckily a guy like Dylan who has surfed around Ireland for over fifteen years has assembled a veritable country-wide network of friends who surf, so that if the swell charts look promising for any given surf spot he will inevitably be aware of someone who is already there or about to arrive. “The last time I surfed Banna the wind was similar, but the swell was slightly bigger, and [the waves] were still too small,” he mutters anxiously as he lifts his phone to his ear and waits for a response, which does not come. This happens a few more times, but we decode our failure to make contact as a positive sign; if nobody is answering their phones then they must already be in the water, which means there must at least be somewhat surfable waves pulsing in. A degree of optimism is a necessary tool when you have arisen at dawn in order to drive two hours through the rain towards a beach which may or may not have waves worth surfing. Becoming familiar with a surf break requires the development of many skills, a surprising amount of which are honed on dry land. You must learn to read swell and wind forecasts, knowing the optimal tide, swell size, swell direction and wind direction for each different break. When the waves prove surprisingly good or disappointing, it is important to discern possible reasons why this may have been the case; perhaps that spring tide gave the swell a bit more oomph as it flooded, or the swell period (a measure of the time between waves) is too short for this break, and it has had the effect of churning the water into unsurfable slop. Surfers learn what type of board to pick for different waves – short and fat for small, weak waves; longer and thinner for larger, more powerful waves. If it is winter, you may need wetsuit gloves and boots. You may also have learnt to pile your clothes in a certain order as you take them off so that they are available after the surf in the order that they are to be put back on, limiting exposure to the elements. And of course you must also learn to surf, and calibrate everything learnt previously against the unfolding experience of surfing this particular wave, for the first and last time. 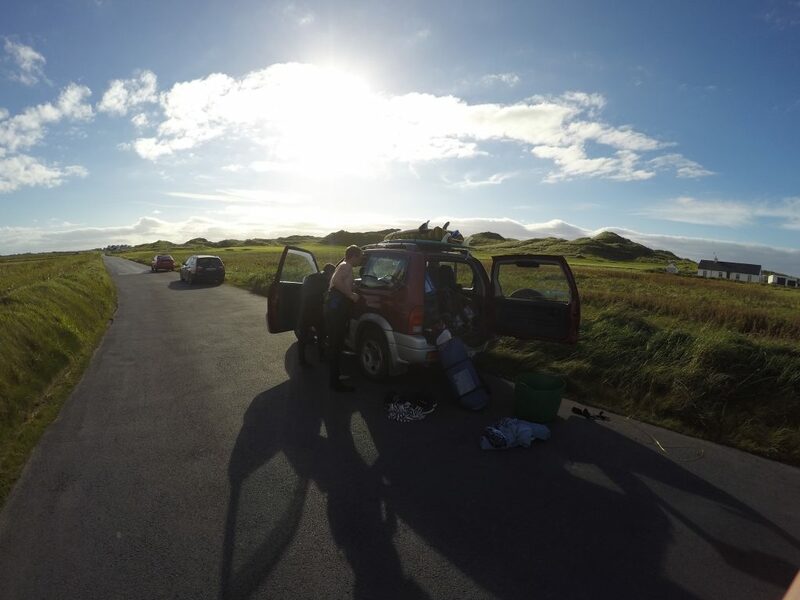 Surf reports, car journeys, phone calls, flags flying, perturbations in the weather and waves all form part of the material reality of surfing. Learning to surf above all requires the honing of techniques of improvisation which fosters an attentiveness to the flow of the material environment. Surfboards evolve as surfers interrogate waves with different shapes, materials and bodily movements. Entire sets of techniques emerge from bringing old materials to new environments. Skateboarding – itself a surfing derivative – gave rise to aerial manoeuvres executed in the space above ramps before dropping back to earth. These were then transported back to surfing with the effect that elite practice has shifted from classic barrel riding (when surfers allow the breaking wave to fold over themselves as they ride through the tunnel created) to include aerial tricks above the waves, forcing board makers to find ever-lighter materials and shapes which still float and move optimally. Whilst on a wave the surfer has to be attentive to its physical character; waves will suggest certain paths away from their self-destruction, optimal lines of flight for escape and expression. To become attentive to the materiality of an environment is to begin to move in sympathy with it. This is knowledge of a certain type; it is not only a knowledge of movement, but a knowledge in movement, a knowledge not oriented towards representationally establishing the way things are (or rather were), but instead towards anticipating what may become of material assemblages and their practical interrelations. 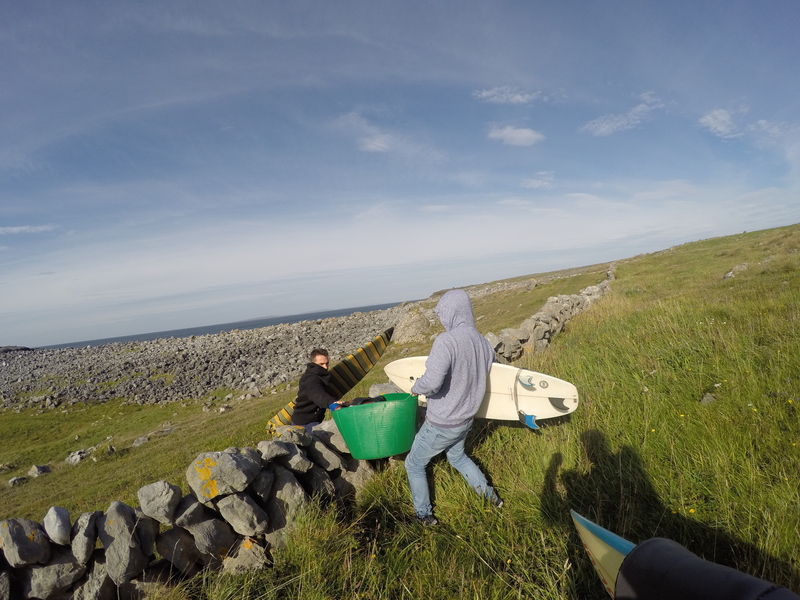 Surfing amounts to a certain culture of movement – of environmentally situated styles, techniques and attitudes towards material processes. In coming to know an alien environment such as the undulating ocean, surfers foster an attitude of attentiveness in order to discover and develop new modes of skilled engagement. Ethnography can also be understood in this way, as a culture of movement. Anthropologists bring styles of thought and techniques of analysis to new environments. Through participant-observation we learn to enter our fields and open ourselves to a new world of possibilities. As researchers, anthropologists consistently prove themselves to be attentive, open to improvisation and generally alive to a world which may not function as expected. In moving with their fields anthropologists come to know. Unfortunately, as analysts, the same cannot always be said. The scholarly gaze, which has been oriented towards the future of what might become in a material environment during research, all too often gets turned around and focused upon the past – that which can be abstracted and described in relation to pre-existing bodies of theory or analytical concepts (Ingold 2011). Representational anthropology becomes focused on the theory, and no longer on the life world. The thing about the life world, however, is that it has an annoying habit of moving along, and as it does so certain representational units of analysis lose their relevancy. This is a lesson anthropology has learned time and again; conceptual stalwarts of the discipline such as the community, the household, the family or subculture (in the case of surfing) become problematized by processes including the development of the internet, globalization, and transnational migration to name a few (Wilson et al 2006). Anthropologists could learn a lot from surfers. Wave knowledge and surfing skill are developed not through the interpretation and internalization of a pre-existing body of knowledge, but rather through an improvised engagement with an ever-unfolding material environment, but indeed this is how humans in general encounter their world in the passage of their daily lives. Instead of basing analysis on theoretical units which only truly exist in scholarly texts, a nonrepresentational anthropology can aim to investigate what it is to be human by attending to the manner in which people skilfully draw potential futures towards themselves through interacting with the materials of life, remaining open to the world both in research and analysis. Practicing surfing is one way (among many) of learning to be human. The same is true of practicing anthropology. Their worlds of knowledge are one and the same. Ingold, Tim (2011). Redrawing Anthropology: Materials, Movements, Lines. Farnham: Ashgate. Tilley, Christopher (2006). “Objectification.” In Tilley, Chris, Webb Keane, Susanne Küchler, Mike Rowlands, and Patricia Spyer (eds.) Handbook of Material Culture. London: Sage. Pp 60-73. Wilson, Thomas M., and Hastings Donnan (2006). The Anthropology of Ireland. Oxford: Berg.